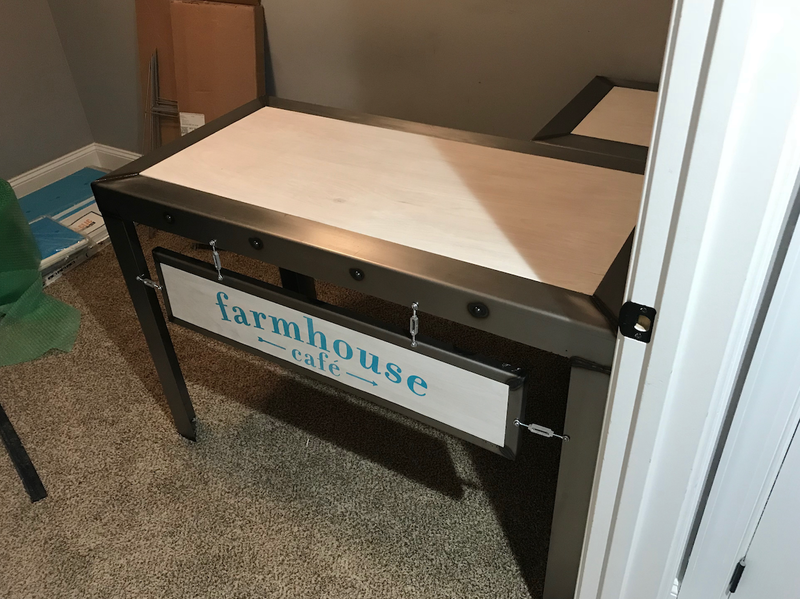 Artfully Industrial created a custom industrial desk for the owner’s office. 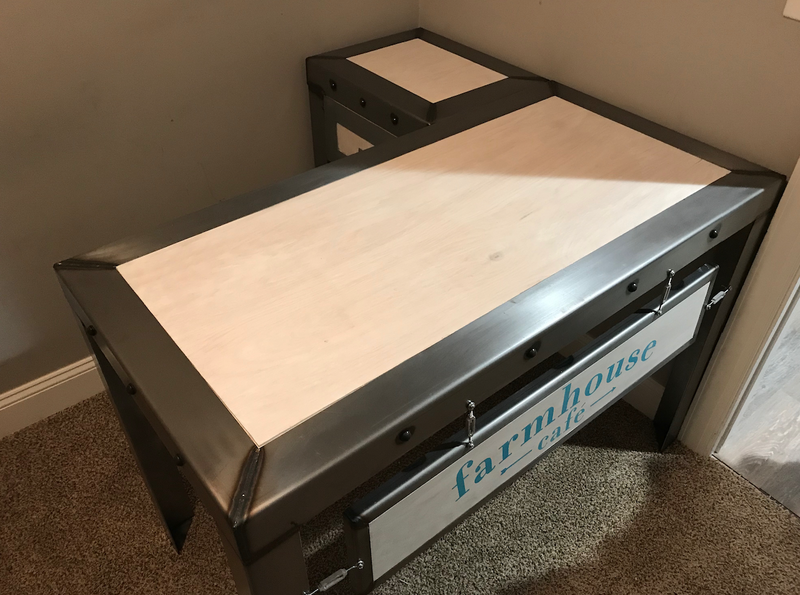 The custom desk was purposely sized for its location and was fabricated using angled steel and routed wood. To give an added personalized touch, a custom name plate was created featuring a branded logo for the desk front. A drawer was also created for inside the L shaped desk.